View content from your MacBook, iPad, or iPhone on a bigger screen with this HDMI to VGA Projector Adapter. 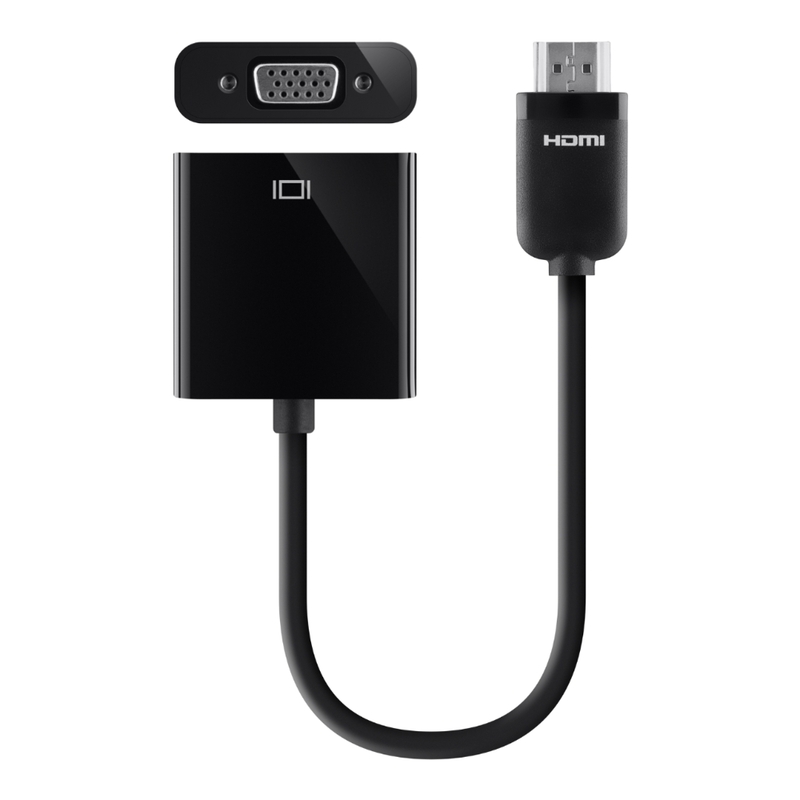 The adapter plugs into the HDMI port on your Apple TV (sold separately) and connects to any VGA projector. Enjoy visual presentations on a larger screen or share a photo slideshow from your iPhone with an audience. This cable works with AirPlay-compatible sources including iPads, iPhones, AirPort-enabled computers, and other iOS devices to stream content to your projector. Designed for portability, this compact adapter measures 6 inches so you can easily take it along while traveling. A high-quality molded-strain relief at the connection points provides flexibility when connecting between devices, reducing strain on the cable and providing durability for long-lasting use.